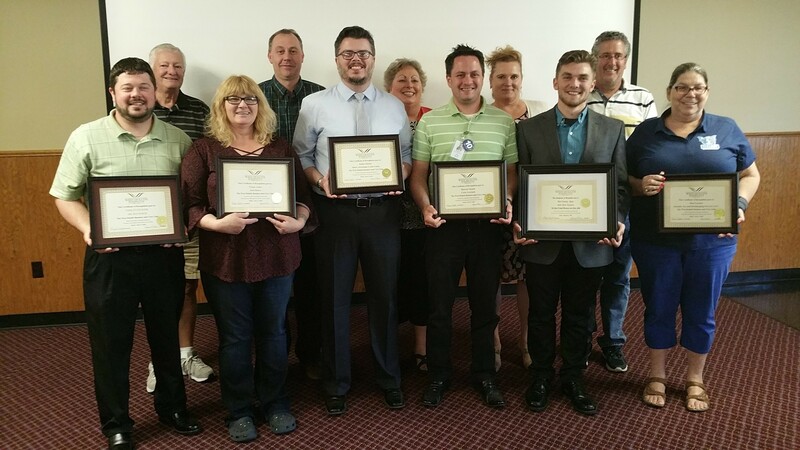 The West Duluth Business and Civic Club (WDBC) honored entrepreneurs in the business community of West Duluth with a Certificate of Appreciation at their June 13th Luncheon. They recognized new businesses that have opened their doors in the Western area of Duluth recently and the WDBC wishes to acknowledge and honor the spirit of entrepreneurship of the owners. Awards were presented to Soul Sisters, Share Advantage Credit Union, Serenity Tax and Bookkeeping Services, State Farm Insurance Agency, Recover Health, and Park State Bank. Pictured above are the business owners/employees with members of the WDBC Board.